Congressman Mike Thompson will join local officials for a tour of the Sonoma Valley County Sanitation District’s treatment facility and new recycled water reservoir. The treatment facility provides water for the Napa Sonoma salt marsh recycled water project, a $2.3 million recycled water reservoir that will help offset water demand from the Russian River and groundwater use in the Sonoma Valley. The reservoir is part of a regional recycled water project that includes one mile of distribution pipelines from the District wastewater treatment plant north to Watmaugh Road. Combined, the reservoir and pipelines projects total an estimated $6.7 million with $1.68 million funded by the American Recovery and Reinvestment Act and will create 73 jobs by September 2012. Congressman Thompson will join local officials on May 29 for an 11:30 a.m. tour. The group will start at 10:30 a.m. with a 3.5-mile recycled water pipeline project that will help restore more than 640-acres of former salt ponds near the Sonoma-Napa county border. 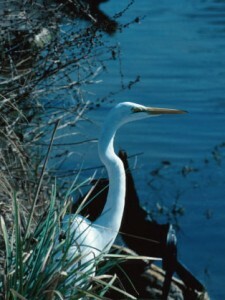 It is one of the largest wetlands restoration projects on the West Coast and will utilize up to 1,700 acre-feet per year to dilute the bittern ponds. Restoration of the ponds is expected to take 10 to 15 years. The project recently received a $1.8 million grant to help construct the pipeline. This funding is part of a larger $3.8 million grant received by the North Bay Water Reuse Authority from the Interior Department’s Bureau of Reclamation WaterSMART grant program.